Updates coming soon for: Entwined Souls, A Remnant of the Past, Empathic Soulmates etc. I’m here! This post is to inform you all of the updates I’ll be making for Entwined Souls, A Remnant of the Past, Empathic Soulmates etc. Also, I’ve been working on some other fanfiction stories for the fandom The Lost World over on another site. 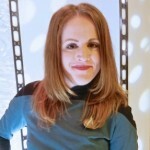 *I have been getting internet trolls all over those stories on another site and my Star Trek fics as well. Some have been very nasty. While other’s have asked me to just plain stop writing because my written English is bad. Say what? * I’m so glad I don’t have to deal with that problem here at Ad Astra. I never respond to trolls, they just pick whatever story is at the top of the page of a particular fandom (ie one or two of my Trek fics) and start saying random stuff. They don’t even leave constructive feedback or anything. I know their point is to make me stop writing my Trek fics. But I only laugh at these hecklers and boldly go forward. My fics will be updated accordingly over the next few days. This is a progress update for my fanfic Defeating a Common Enemy that was originally submitted for the October Story Challenge. I am currently working on chapter 2 and am also working on a book cover/banner for it. A little saddened that I didn’t get at least one vote during voting for the three entries that made it. But I’m writing for me mostly. I didn’t expect anything really because this one fell a little flat. Written for the October story challenge. Riker is paired up with a Cardassian General named Gul Dukon as a liaison to assist in the clean-up in the aftermath of a Borg invasion to Cardassia. Will the two be able to find common ground to defeat a common enemy? The entry can be found on the archive under the October Story Challenge page. Or it can be found here in the Next Generation category. Summary: Riker and Troi meet as children. As they grow up, they have chance encounters with each other. Is this the universes way of bringing them together? Or is it just coincidence? AU. I came up with this idea a while back, but just now decided to write something like this. I’ve always wondered what it would’ve been like if Riker and Troi had met as children and had met unexpectedly throughout their lives. This is a different kind of AU. I’ve got Riker surrounded by family, instead of just him and his dad. He’s got his mother, his aunt, grandmother, grandfather, uncle and a little sister added to the mix. Yes this starts as a family fic, but I assure you, it will turn into a romance fic later on. New banner for my Beverly Crusher centric fanfic: A Mother’s Joy. Upcoming writing projects: More romance/drama fanfics galore! As a bonus blog post for today, I’m letting you guys in on some upcoming writing projects. This means more romance/drama fanfics galore! Summary: Riker and Troi meet as children. As they grow up, they have chance encounters with each other. Is this the universes way of bringing them together? Or is it just coincidence? Summary: *This is a very different sort of AU fanfic. * Instead of Riker pursuing a command path aboard various starships, he works as a doctor at Starfleet Medical. He meets Troi when she is admitted for a broken arm. Riker always follows one rule: Never fall for a patient, even if its a beautiful woman. But he can’t help but feel a strange connection between the two of them. So, with this post comes the close of my Riker/Troi romance fanfic Cards of Fate. On a scale of 1-10 how do I think I did? An honest answer? I give it a solid 8. I think I managed to balance out the romance, drama, angst, and the eventual family attributes of this story. So for those of you who have read the entire fanfic, how would you rate it? On a scale of 1-10? I look forward to seeing what numbers you guys come up with. So far, my Riker/Troi romance fanfic Cards of Fate is a labor of love. As previously stated in my 1st post about this fanfic, I came up with the concept and the idea for it while staring out at The Zocalo Square in Mexico City. As a lot of you read so far, Riker and Troi have gone through a number of different situations. They’ve gone from the confused, but happy couple who don’t quite understand their strong attraction and bond with each other, lying in each other’s arms, to having a quiet dinner with one another. Then to Riker caring for Troi when she comes down with Clodonian Flu, never leaving her side. Then to more recently having to deal with the loss of a child they didn’t even know about. I feel that with the ups and downs that these two go through in this fanfic is necessary to tell this particular story. Chapter 2: A Match made in Heaven? Most Definitely. I hope you guys will continue to enjoy, I’m doing my best with the romance and the drama. So for Twelve Trials of Triskelion Week 9: Unblock the Block I’ve put up my Riker/Troi fanfic Two Centuries Old Crisis. Summary: When Commander Riker and Deanna Troi’s daughter 2 year old daughter Kaitlyn comes down with a virus that was eradicated 10 years before, it’s up to Doctor Crusher to stop it from spreading ship-wide and infecting the crew. You will find a variety of fanfiction and prompts here. Blog Roundup: Weeks of May 12, 2014 + May 19, 2014 - Ad Astra Journal CommunityAd Astra Journal Community on *Update* for fanfic The Light In Her Eyes.